Simply pop the internal bag within the ice packs, shake, and within seconds you have a cold relief! The packs are perfect for any sprain, strain, bruise, ache or injury that needs cryotherapy. This product is every athletes best friend. Every sports individual should carry a pack, and every team should carry a box. After a game/match an individual can simply activate the pack and wrap it around a problem area. It quick, simple and provides fast relief. Several teams will use plastic bags filled with ice, and although this can be a solution – the ice will melt – which can be a problem. If you’re on the team bus coming back from a game, you don’t need to be sat in a puddle of melted ice. 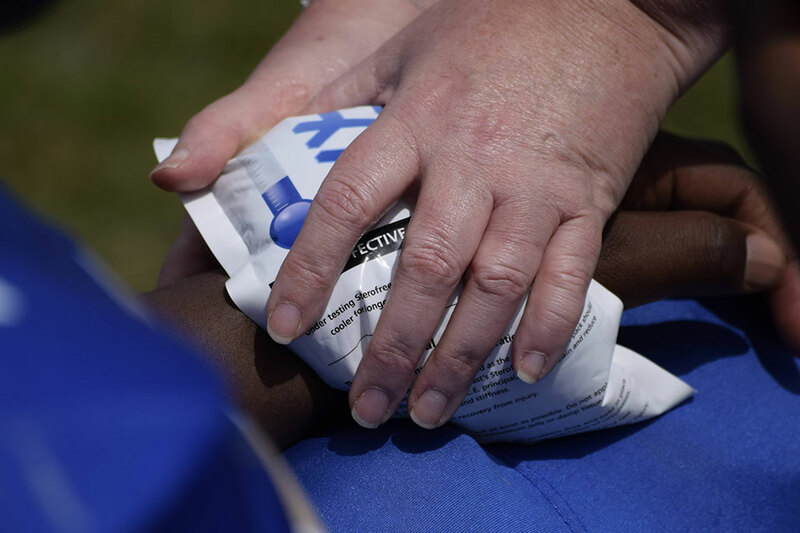 The Instant Ice Packs provide a longer pain relief, with no mess! In boxing, and other contact sports, fighters can overheat, lose breath and take a lot of shots to the body. Using an ice pack to your fighters chest or back gives them an instant cooling relief. It is the fastest way to cool them down. The cooling can also control your fighters breathing between rounds. These packs are very popular in boxing, mma, and all martial arts.